Merritt & Shawn met at CROSSFIT and when it was time to do their engagement session, I couldn't help but think of bringing the shoot there! As a photographer, I always try to bring something to an engagement shoot that incorporates something about the two of them and what they like to do together. Sometimes it's walking the beach, or a leisurely bike ride, but I have yet to encounter a couple like this. We did decide to do a portion of the shoot on the beach with their doggies in Rehoboth, however these were so much fun I had to share them on the bloggy! It truly was a perfect conclusion to a warm and fuzzy beach shoot and a perfect pre-game for their upcoming wedding! Merritt and Shawn bust all the stereotypes and show us that girls, alongside the boys, can truly "BRING IT." 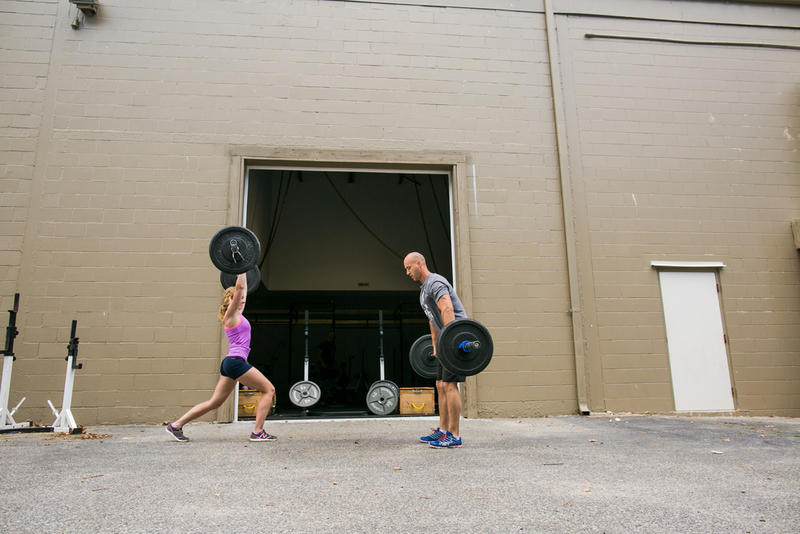 These photos definitely express that "The couple that CROSSFIT's together, shines together. :)"
Special thanks to CROSSFIT REHOBOTH for letting us shoot there! We had a blast and I have a newfound respect for crossfitters everywhere.